Asbestos: when and when not to worry | Crucial Environmental Ltd. Even if you don’t know very much about asbestos, you might assume that if you found asbestos on your property that you would need to worry. After all, asbestos is an extremely hazardous material to human health and causes thousands of deaths in the UK every year. But in many cases, panicking about the asbestos you have found is the worst thing that you can do as it can lead you to make poor decisions. Does the material just look like asbestos? 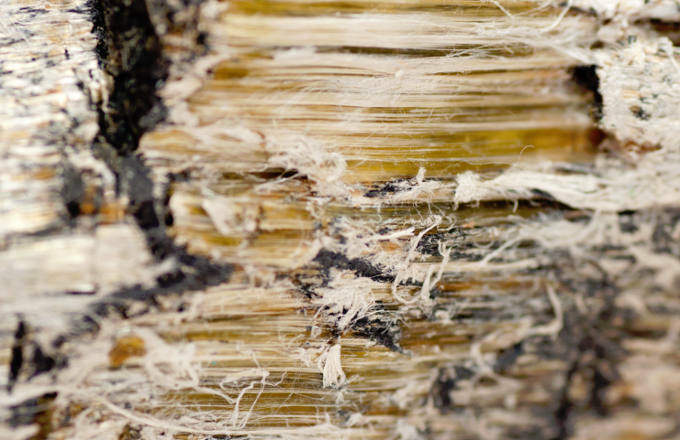 It is important to remember that not everything that looks like asbestos, is asbestos. Many materials that look visually identical to asbestos-containing materials are actually harmless alternatives. For example, you might know that some forms of Artex ceiling coating contain asbestos. While this is true, there are many equivalent coatings that do not contain asbestos. If you uncover something that looks like asbestos it is a good idea to have it tested by professionals as you first course of action. Is the material in good condition? If you find asbestos but it is in good condition and it is unlikely to be disturbed, there is no reason to be immediately concerned. Asbestos is typically only hazardous when fibres are allowed to become airborne – this often occurs when the material is knocked or moved. It is still worth having a survey carried out on the material, but there is no reason to be worried as the risks are minimal. Are you carrying out maintenance or DIY? Carrying out DIY and maintenance around a property is actually the time that asbestos is most often discovered. It can also be relatively hazardous, especially if you are making substantial changes such as knocking down walls or replacing roofing. Make sure that you that is no asbestos present before you start making large changes to a property.